New to fabulous for Summer! There are some exciting new brands we’ve been bursting to tell you about, which will be landing in stores and online over the next couple of weeks… Here’s the low down on them all! 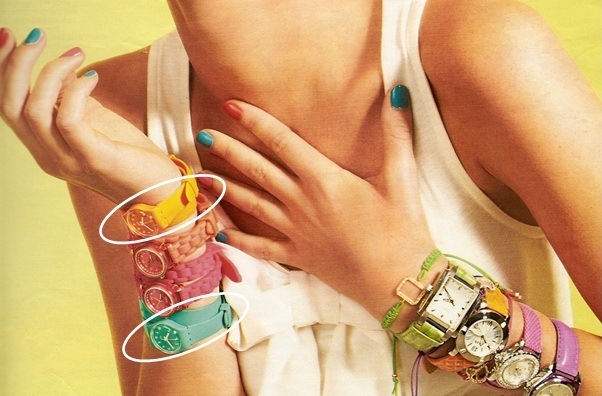 You’ll Love Ice-Watch If: You love bright colours and have a sporty casual style – maybe you already have a quirky Thomas Sabo charm bracelet or metallic Good Works wrap bracelet that would look great worn next to a vivid watch. Look fabulous on: Katy Perry, The Saturdays, One Direction and McFly. Details: Ice-Watch is a Belgian brand, internationally renowned for its fun and vibrant watch collections and pairing up with some of the hottest celebrities across Europe. 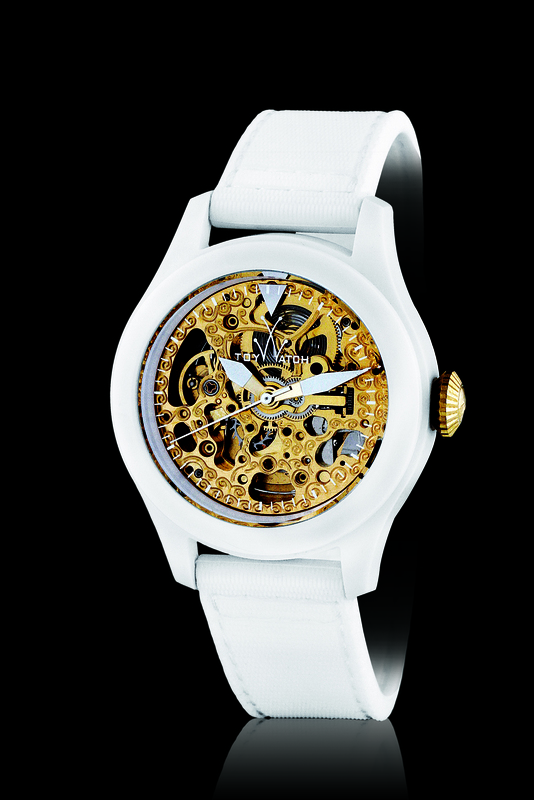 fabulous will stock watches from eight Ice-Watch collections. Look out for the Ice-Blue and Chrono ranges, which are masculine yet young, and the Ice-Love watches, featuring faces emblazoned with a sparkly heart! 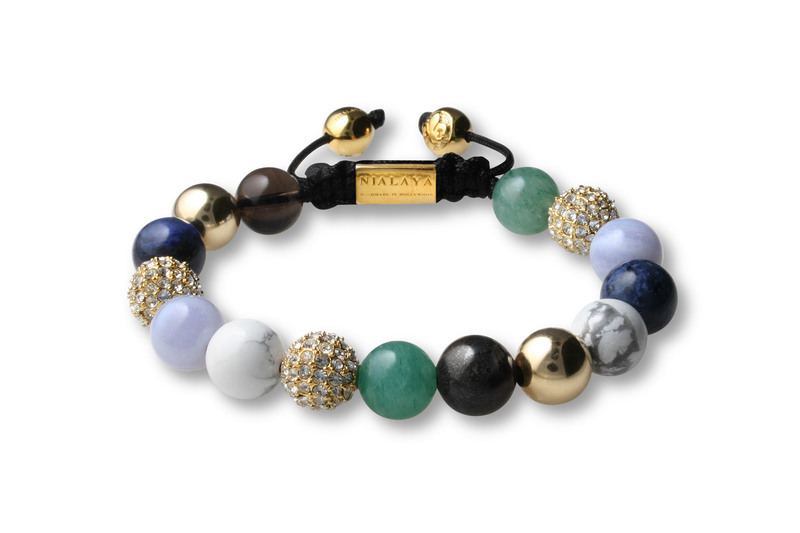 You’ll Love Nialaya If: You like the look of Tresor Paris bracelets and Thomas Sabo‘s latest bracelet styles, but are after something even more glamorous!! Look fabulous on: Diane von Furstenburg, Olivia Palermo, Paris Hilton, Snoop Dogg, David Guetta and Mickey Rourke. Details: Founded by Danish-born designer Jannik Olander, Nialaya is based in Los Angeles, but the precious and semi-precious stones, beads, materials and other items you see in the collection are handpicked by the designer on his travels around the world. 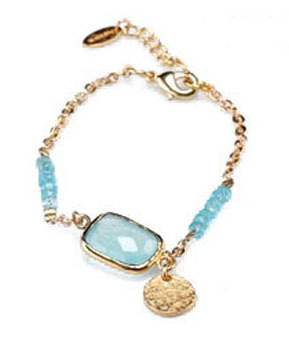 Every stone has healing powers and can amplify and increase the bearer’s own energy. Handmade in Hollywood, Nialaya jewels are designed to “bring good luck on life’s journey to those who believe in unconditional love”! You’ll Love Ashiana If: You already love Azuni, ChloBo and Chan Luu – boho luxe is the name of the game! Details: The collection is inspired by global cultures and colours and the unusual designs celebrate colour and texture. Incorporating 22carat Gold plate and semi-precious stones all of the pieces are very versatile and will look fabulous from poolside to cocktail bar. You’ll Love Toy Watch If: You love modern luxury, appreciate the craftmanship behind your time piece and like to make a statement with your watch. Looks fabulous on: Madonna, Leonardo Di Caprio, Michael Jordan, Robbie Williams, Sylvester Stallone and Oprah Winfrey. Details: Toy Watches use a mix of materials, from ageless classical steel to high-strength, ultralight, high-tech polycarbonate, to cater to the preferences of purists, demanding collectors, and people who love fashion brought to the extreme. The combination of materials, extreme attention to detail and the artfully balanced shapes are the features that have won the hearts of international stars. 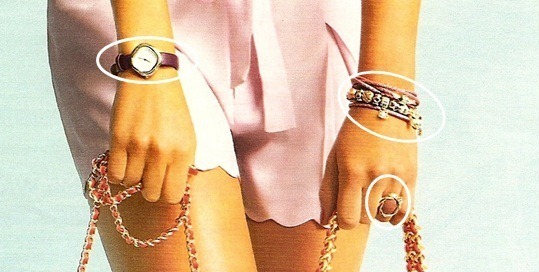 The brand is synonymous with style and is popular the world over – you could say Toy Watch is the Pandora of watch world! 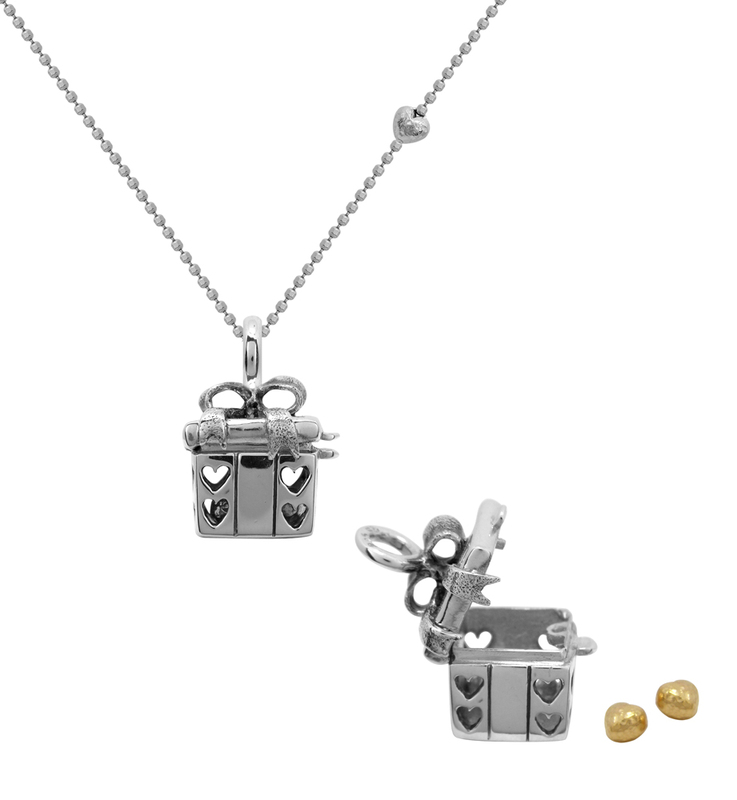 You’ll Love Blossom If: You love charms and girly, delicate jewellery that has a romantic sentiment. You might already have some pieces by Alex Monroe, Linda MacDonald and Sphere of Life in your jewellery box. 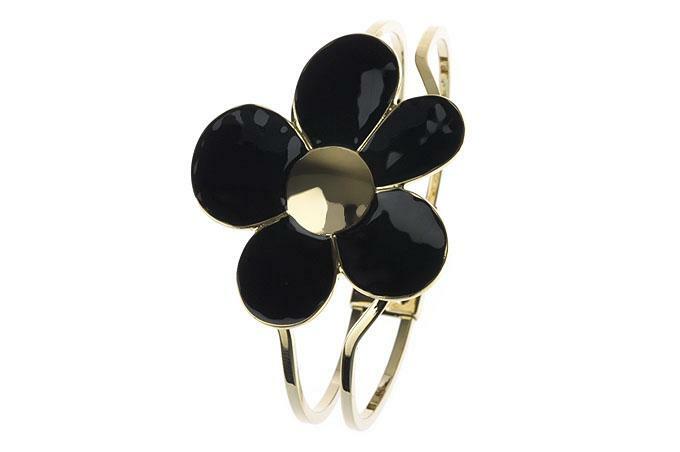 Looks fabulous on: Blossom, Copenhagen was launched a year ago and hasn’t been spotted on any celebs – yet! You’ll Love Adele Marie If: You love 60s style flower power – think Marc Jacobs pretty Daisy perfume bottles and vibrant colours. The Adele Marie customer is style conscious, chic and demands high quality pieces at an affordable price. Details: The creation of Adele Vanderkar, a jewellery and accessories buyer for Harvey Nichols in the late 1970s, Adele Marie was established over 25 years ago, and has since risen to the ranks of one of the UK’s most desirable jewellery brands . Adele Marie’s philosophy is to create iconic pieces for women who want to make a statement. The collection is made up of fun pieces, ideal for injecting some Summer fun into your wardrobe staples in bang on trend neon and pastel colours. All of these fab new brands are due in stores and online by the beginning of June. Prices start from £25. fabulous Garden Parties Nearly Here! With Summer (hopefully) just round the corner, it’s time to get ready for our annual Garden Party season! This Summer fabulous will be hosting two lovely afternoons combining fine food and company with a spot of retail therapy! The Garden Parties are a great opportunity to browse and shop brand new and extended collections by fabulous’ most popular designers as well as meet some of the designers themselves! Jo Stroud, owner of fabulous, describes the Summer Garden Party as, “a lovely relaxed event perfect to share with your girlfriends or work colleagues, or as a treat for a special someone. For many years we have hosted a Summer Garden Party for our store in Royal Leamington Spa at Mallory Court Hotel, which has always proved popular; and I’m very much looking forward to sharing our latest collections with the fabulous ladies of Bath at our first Garden Party at The Bath Priory, as it’s a beautiful location with a superb restaurant”. The Bath Priory, built in 1835 as a private residence on land once owned by The Priory of Bath Abbey, provides sumptuous surroundings and a welcoming and relaxed atmosphere for the fabulous Summer Garden Party. Guests will dine in the hotel’s restaurant, which was named the number one restaurant in the South West in The Sunday Times Food List. Mallory Court, located on the outskirts of Leamington, is one of the Midlands’ finest luxury hotels – a quintessentially English country manor house hotel. With stunning views from its terrace over the gardens and the Warwickshire countryside beyond, Mallory Court‘s multi award-winning Dining Room is the region’s most celebrated restaurant. Before and after lunch, the latest jewellery collections will be available to peruse and try on, before they have even reached the stores! Collections will include Lola Rose, the “go-to” brand for Summer with pieces in brightly coloured semi-precious stones and modern yet feminine designs. Also Daisy Jewellery will be showcased, a brand which has a growing fan base due to its delicate designs in 24carat Gold plate and its Chakra range which promotes well-being. What’s more, designers such as Chloe Moss of celebrity favourite ChloBo, whose collection features luxury boho stacking bracelets; Linda MacDonald of Linda MacDonald Jewellery, famous for her collections inspired by nature; and Marisa Horden, the lady behind Missoma, the glamorous collection feted by fashion glossies, will all be in attendance, happy to chat about their designs and share their style secrets over a glass of Pimms! Brand representatives from fabulous’ other favourite designers will also be on hand at both parties to reveal the insider info on key pieces for the new season. If you would like to join Jo at one of the Summer Garden Parties please call your nearest fabulous store: Bath – 01225 330 333 or Leamington – 01926 430 934. Tickets cost £29 each and include lunch and refreshments. Tickets are £26 each when placing a booking for three or more people. Be on Trend for Summer with Fabulous! 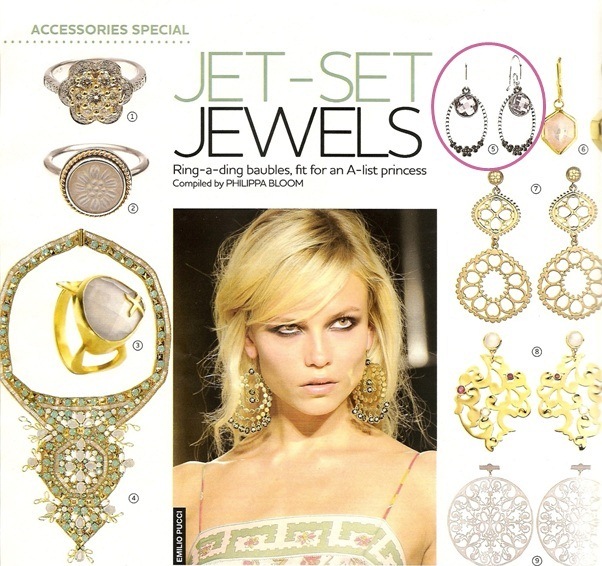 We were flicking through the Sunday papers last week, having fun browsing Summer’s latest trends – when we spotted that lots of pieces that fabulous stock featured in the YOU magazine’s Accessories Report! Here’s a run down of what you can pick up at fabulous that will get you noticed for all the right reasons this Summer! 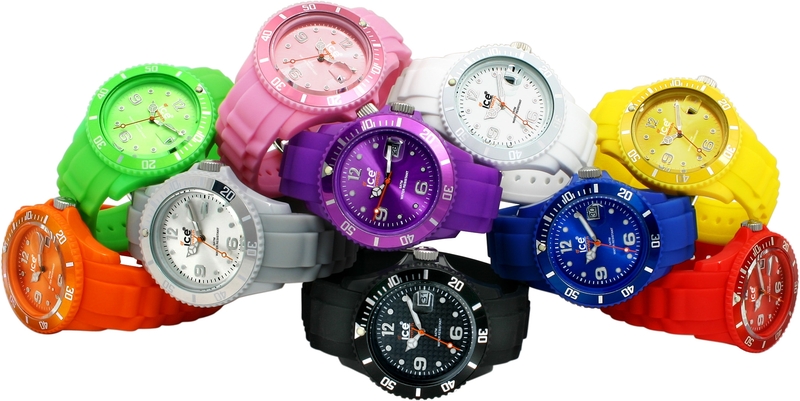 Swatch Colour Code Wrap watches look casual and fresh for Summer! Pandora is perfect for working the pastel trend this season! 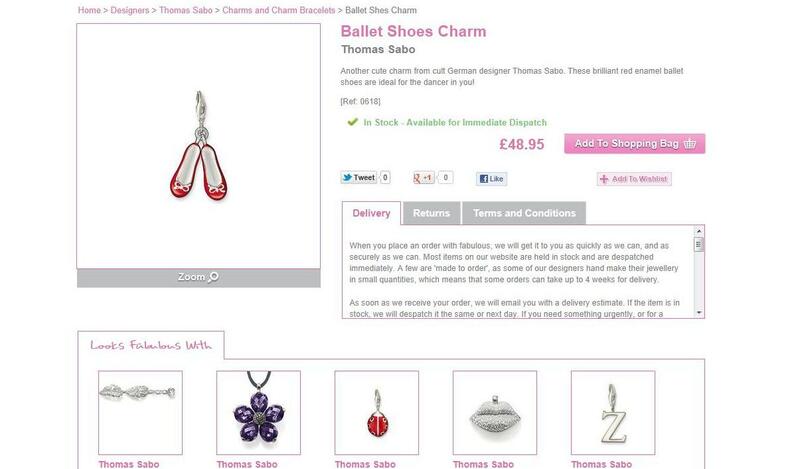 You can see a Purple Leather watch, Leather Charm bracelet with charms and a Rhodonite ring. These earrings are from Pandora’s Compose range – you can mix and match each component to create a totally unique look! 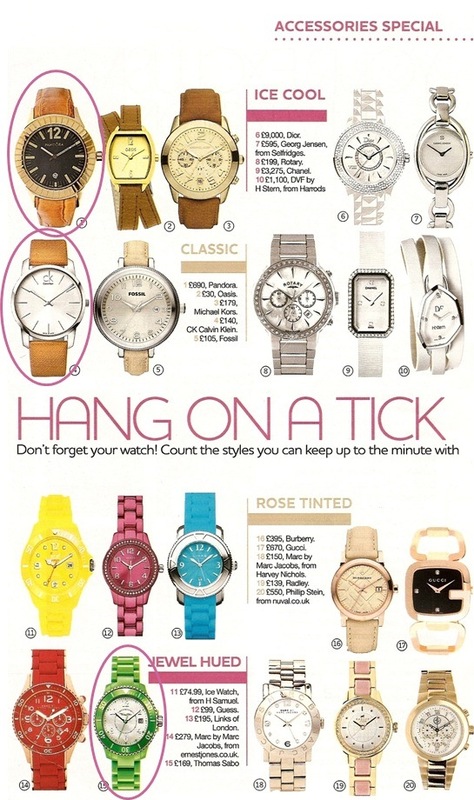 This feature includes three different watch brands that fabulous stocks – Pandora, CK by Calvin Klein and Thomas Sabo! Soon we will stock some other watch brand favourites also featured on this page – stay tuned!! After months of hard work from our creative and web teams – our new website has finally been launched and went “live” last night! 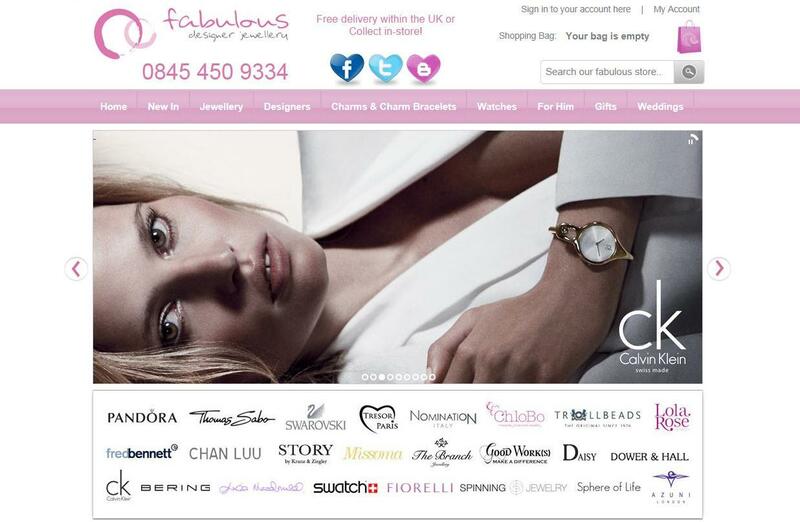 fabulous has always had a transactional website but while the fabulous stores have expanded and been refurbished over time, our busy award-winning website waited in the wings like a trusted friend for the face-lift it deserved! We are thrilled with the new look of the website! It remains instantly recognisable as being totally fabulous – the theme is pink of course! But we feel that it has a much more slick and clean feel to it and it is even easier to navigate than our previous site, with new filter search options. Aside from this, there are few other new features of the site which we think will improve our online shoppers’ experience…. Have you spotted the tabs underneath the main banner, inviting you to browse what’s new to fabulous, our fabulous favourites and, if you’re not sure where to start, some fabulous inspiration?! It also acts as a gateway to the Designer Lounge – a fresh new area of the site where you will find interviews with designers, insider info on new collections and the latest jewellery industry news! At the bottom of the homepage, you’ll find links to most of the important original sections of the site such as About Us, Events and Returns information. But now you’ll also notice that we have brand new info about Birthstones – which are so popular as gifts! Plus – check out the cute heart shaped social media buttons, which make it even easier to stay connected with fabulous. Arguably one of the most important new features of the site is the real-time stock level indicator for every single item! Our aim is to get your order to you as quickly as possible but on our previous site you wouldn’t know if your item was in stock until you had placed your order…. Now each product page informs you of an estimated delivery time to help you have the best online shoppping experience possible.